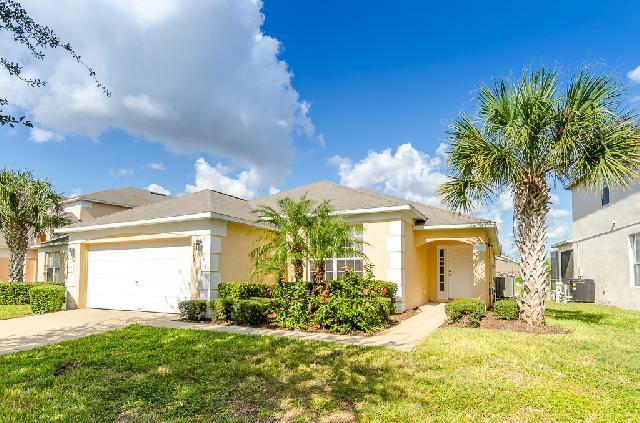 Our luxurious private villa in Kissimmee, Florida, has 4 bedrooms (2 master en-suite), 3 bathrooms, pool & jacuzzi, large garden area, games room plus FREE wireless internet, on the exclusive Emerald Island Resort less than 3 miles to Disney World! With all the comfort of home and more than a few holiday luxuries! Our villa has 4 bedrooms (2 master en-suite, and all have cable TV), 3 bathrooms, pool & jacuzzi, games room, large garden area, on the exclusive Emerald Island Resort less than 3 miles to Disney World! 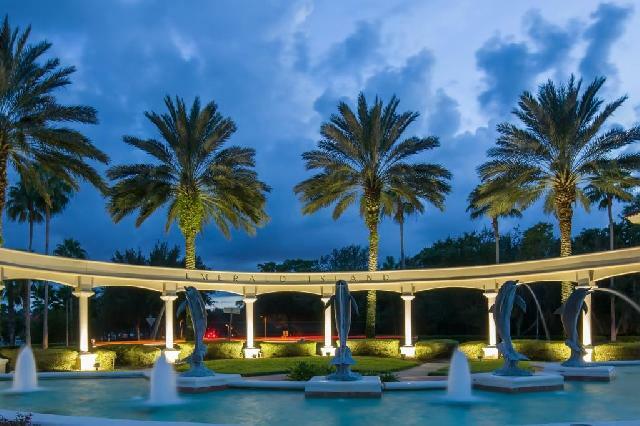 What better way to enjoy Florida than to 'live the American dream' and enjoy your own home for a couple of weeks! You will find the freedom to do what you want, and when you want, vitally important. This is particularly true for those holidaying with children. We have a young baby of our own and are used to travelling, so with this in mind we have tried to make our house as child friendly as possible with lots of free extras (eg cot & Winnie the Pooh bedding, two Disney themed bedrooms for the children, highchair and splash mat, 2 pushchairs/strollers, nightlights, toy box and bath toys etc, feeding bowls and spoons, microwave steriliser, Play Station 2 and many many games (over 30 games! ), Games room which includes pool/table tennis table, mini pool table, football table, air hockey table, 2 bikes, 2 tennis rackets, dart board & electronic american football arcade game. 42" flat screen TV in living room, with DVDs for all the family (over 400! ), Music CDs (over 50), childrens' books and board games for all the family, inflatables for the pool, gas and charcoal barbecue, children's Winnie the Pooh pool set and chairs, and other additions to make your stay as comfortable and as easy as possible whilst holidaying). You have all the freedom to do as little as you please or as much as time allows. With all the comfort of home and more than a few holiday luxuries thrown in for good measure, we are sure you will find your stay at our villa one to remember! The home was in a very nice gated communist close to shopping and Disney. The lay out of the home was perfect for 5 adults and 3 kids. We had plenty of space with 4 bedrooms and 3 bathrooms. The pool was perfect for families as it had a nice spa and pool that was shallow at one end and around 5 at the other. We REALLY appreciated all the toys, games, pool toys and kid and adult movies. The game room was great and really appreciated the washer and dryer. The neighborhood was safe to walk and had lots of trails and kid parks. As a conscientious renter I tried to vacuum and found the vacuum completely plugged up from the canister not being dumped, needless to say the only thing I would recommend is the owner find someone else to clean as whoever is doing so is not doing justice to your beautiful home. Even with that said we would come back again. We were on a family vacation and were amazed at what the house offered. Not only was there plenty of room, but the garage stocked with a pool table, air hockey, and other games, which really made the stay that much more enjoyable. The house was spotless and adequately stocked. We stayed at the Emerald Hunny Pot and would chose this house again during our next visit. Just a few miles from Disney! and close to everything else. I wanted to send you a quick note to let you know we loved the Emerald Island house. Its minutes away from Disney, was very clean and felt very safe being located in a gated community. We will be back next year and will have to stay an extra day just to enjoy the pool and clubhouse! PS The price was reasonable too! Thanks George. You can list my email online if you want. We loved the house and are already planning our trip for next November.